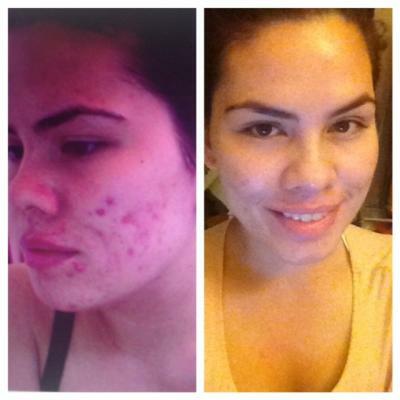 In this post I’m going to tell you about one of the most raved acne solutions in the market today. You would have seen various youtubers rave about this and also read many reviews. It’s the acne.org treatment or also called the regimen. The regimen was started by a guy called Dan who suffered from acne too. It consists of three steps namely cleanser, treatment and moisturizer. I just want to let you all know that I have not personally tried this but have read unusually high amounts of positive reviews and dramatic changes that prove that it has removed acne from people’s lives and I wanted to share this with those of you having same issues so that you can do your own research. What I love about the acne.org site is that not only it is a store to get the items but it also has a forum where all members are those who had or have acne currently and they share their reviews on the acne.org treatments and various other acne treatments, face washes, cleansers etc. I found that I have visited this site quite often to read reviews when I want to check if a product is suitable for my acne prone skin. I personally do not have the need to use this treatment because I have almost totally cured my acne through my dermatologist but I’m pretty sure there are girls out there who say that you have tried everything that are there to treat acne! Read about how to wear makeup for acne HERE and if all fails, don’t give up acne is a battle for many people but for some a simple dermatologist visit can treat it up. Either way it’s very important that you know about acne and are well informed about how they occur and how to control them, the ingredients that don’t suite your type of skin etc. I used to visit Acne.org a lot. You are right that the site has some really great information. I also like that while it has its own products, it also mentions (or at least used to mention) alternative products you can use. I currently use their BP product, and I do like it. I would love to stop using BP altogether, but if I can't, I'll definitely be repurchasing. I have heard very very good reviews about this one.